These framed tiles are reproductions of law cartoons in the regarded LawComix.com collection. The ceramic tiles are in stained Cherrywood frames, size 6" x 6." 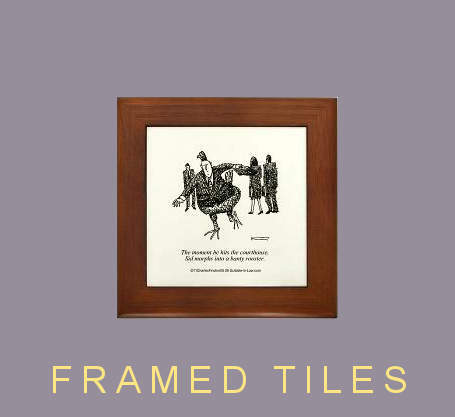 These framed tiles make a tasty wall accent or art for a desk. The tiles are not signed. Click on any cartoon, below, to see it as a framed tile and add to your shopping cart.